A cold-hardy perennial, lemon balm can survive temperatures to -20F (-30C). Start with a purchased plant, or obtain a rooted piece from a friend or neighbour who has an established clump. Lemon balm can be transplanted from early spring to early summer. You also can start seeds in late winter, and set out the seedlings in spring. 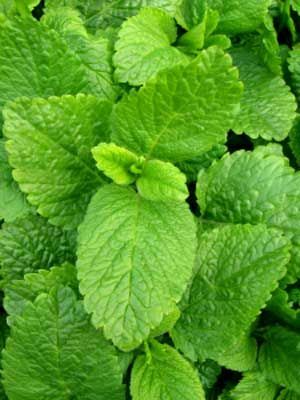 Lemon balm grows into a rounded mound. Lemon balm is very easy to grow. Locate it where leaves can be conveniently picked, crushed and sniffed. Gather sprigs as needed in the kitchen. Gather stems for drying or steeping into tinctures in early summer, just before the plants bloom. Control lemon balm’s spread by cutting back flowering stems in late summer.